CORNWALL, Ont. 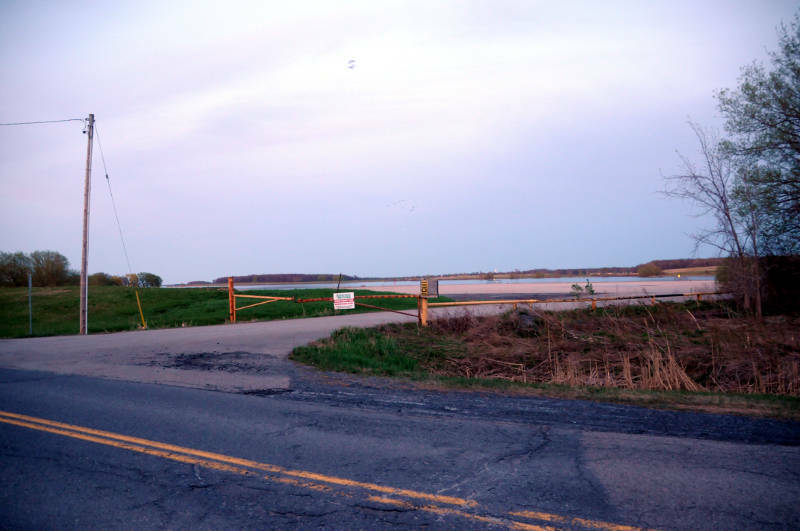 – Judge Roland Laliberte will issue a written decision within 30 days on whether a building permit for a grain terminal on Lakeshore Drive, west of Morrisburg, is valid. Ontario Grain Terminals wants to use the deep water port for grain shipping and construct two, 20,000 ton grain bins on the north side of the road with the possibility of adding two more in the future. Township residents Chris Rowntree and Charles Crober challenged the decision of the chief building official (CBO) to issue a permit. There were roughly 30 people in the gallery of the Cornwall courtroom, including South Dundas Mayor Evonne Delegarde and Deputy Mayor Jim Locke, to hear the submissions during the superior court trial. Most of the arguments surrounded whether the chief building official (CBO) was allowed to issue a building permit without an environmental compliance approval (ECA) certificate from the Ontario Ministry of Environment and Climate Change. Representing the plaintiffs was Ottawa lawyer Donald R. Good. In his submission, Good argued that an environmental certificate of approval should have been approved first before a building permit could be issued. Good suggested the proponent was trying to slip in a grain elevator under the guise of a “warehouse”. Having 52 parking spaces and truck traffic that would create noise and dust emissions are “not normally associated with a warehouse,” he suggested. The defendants are Morrisburg Dock Expansion Inc., represented by Toronto lawyer Gordon Petch, and the Municipality of South Dundas, represented by Morrisburg lawyer Eldon Horner. Horner questioned Good’s interpretation of the law and argued that the certificate was not needed in order to issue a building permit. “This is a decision made by the chief building official by Mr. (Don) Lewis. He did it independently and, in my respectful submission, there’s all kinds of evidence … to show the lengthy process that he went through to study these issues. He conducted a diligent and dedicated review,” Horner said. The Morrisburg lawyer argued that Good incorrectly interpreted the Planning Act and that an environmental certificate was not needed before the permit was issued. Based on evidence in an affidavit from the original author of the zoning bylaw, Horner didn’t dispute that an environmental compliance approval (ECA) certificate will be needed for the development and construction but not for simply issuing a building permit by the Municipality of South Dundas prior to the issuance of the ECA. Gordon Petch added that the CBO had exercised due diligence. “He used considerable expertise and experience in dealing with the zoning requirement. He (Don Lewis) got a legal opinion, he did all of that. He got a planning opinion, he did all of that. He considered the objections from the opponents, he done all of that. He did his own inquires and he did his inquires … both before and after the application had been filed,” Petch said. The lawyer for the grain terminal developers also stated there was no evidence to support a dust or noise issue. “The burden (of proof) hasn’t even been met … when this use is not even going to occur 20 or 30 days of an entire year,” he said. He said the property on the north side of Lakeshore Drive has been clearly used for storage, trucking and shipping in the past. The trial lasted a little less than three hours, which included a 15 minute break.